If you live in on the west coast you are feeling my pain. Although we don't have snow and are still in the double digits in my neck of the woods it has been pretty frigid here in the south. The wind has made today not only extremely cold but semi-miserable. 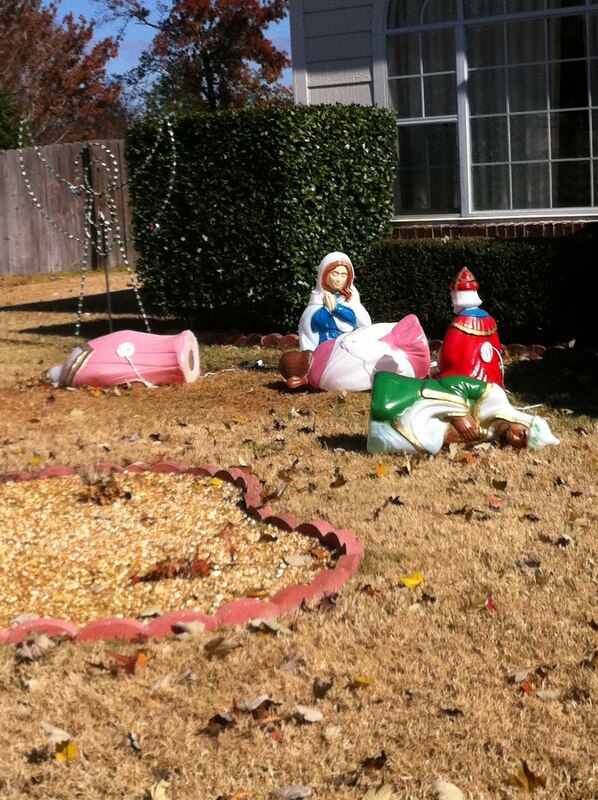 Poor Joseph and the wise men keep trying to blow away. My friend said earlier she hopes I don't find baby Jesus up in a tree tomorrow.